Can withstand shallow and very warm water. One pair will reproduce 30 young every 22 days. 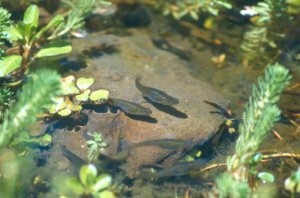 Do not use in vernal ponds!